Contrary to popular opinion – Knowledge is NOT power. Your conduct and behaviour in everything you do is Power! You must self-manage and optimise your personal strengths. That is what will separate you from the crowd. Businesses may think soft skills are unnecessary in a leader, but they’d be absolutely wrong. In a HBR study, Daniel Goleman found that those who excelled in senior leadership roles, compared to those who were merely average, had close to a 90% difference in their emotional intelligence profiles. Why is that? Strong leaders have an ability to connect to their direct reports. They have the empathy to see things from others’ shoes. They don’t take things personally and can think clearly through what needs to get done. 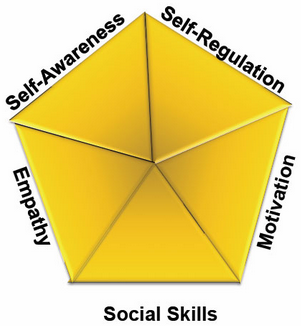 EQ (also referred to as Emotional Intelligence) refers to a measurement of emotional intelligence. The good news is that unlike IQ, which tends to be constant, EQ can be intentionally raised. Studies reveal that only 35% of people have naturally high levels of Emotional Intelligence. Look around your company, it means that 65% of your staff are not working at their optimum level. Businesses with employees with high emotional intelligence are happier, more productive and show results more than 10 fold of those companies who don’t. For more information about our Extended DISC psychometric tests – click here. The SRG Customisable Training Materials are available for download for Workshop Training or online eLearning. All topics increase the Emotional Intelligence levels in your Leaders and staff and cover the five areas of EI. To see a list of the topics available – click here.